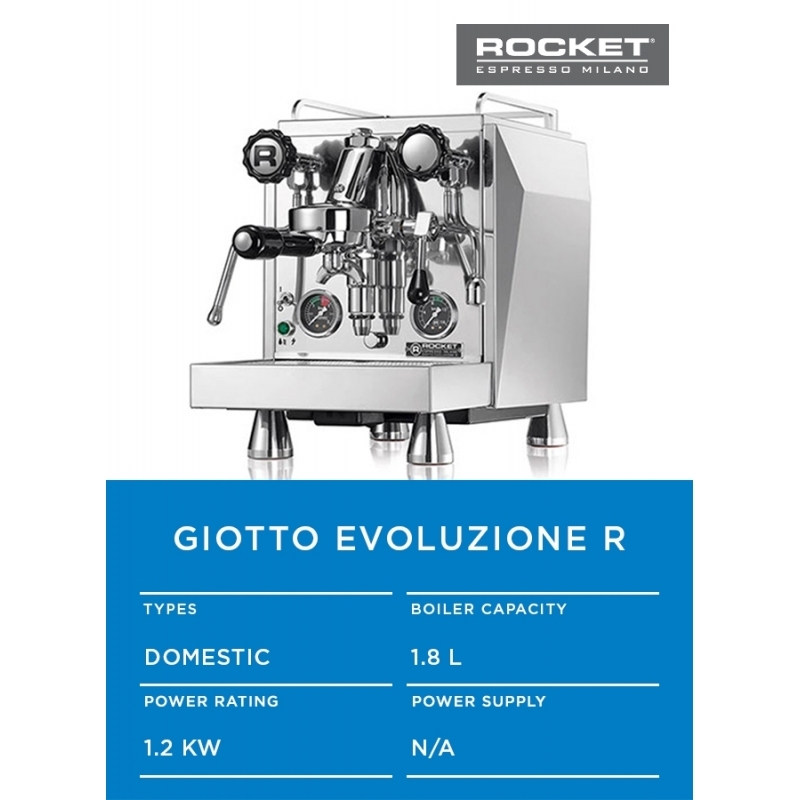 Features taken directly from our commercial espresso machine range give the Evoluzione machines superior technology that is normally only found in full sized commercial espresso machines. Now with PID temperature control, insulated boilers and the Rocket Espresso 9 mm boiler end plates, stability and temperature control is further enhanced. The use of a rotary pump ensures quiet yet robust pump performance and allows the user to have the machine draw water from the internal machine reservoir or alternatively connect the machine directly to the water supply.